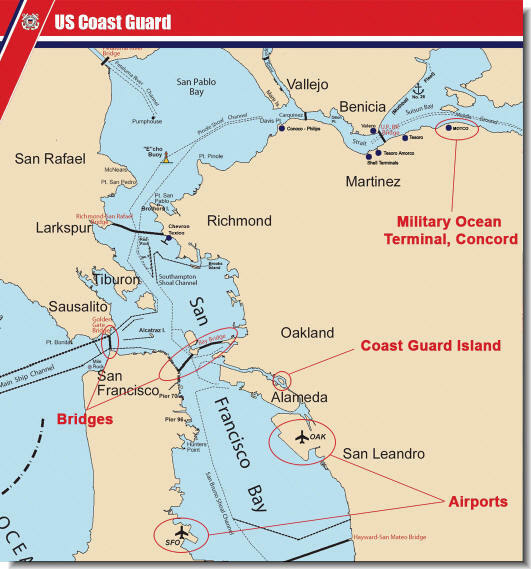 The Coast Guard has established fixed security zones in certain zones in certain specified areas of the San Francisco Bay. These security zones are necessary to ensure public safety and prevent sabotage or terrorist acts at these locations. Entering, transiting through or anchoring within these security zones is prohibited, unless specifically authorized by the Captain of the Port of San Francisco Bay or his or her designated representative. Please contact us if you are aware of any other California Security Zone maps so we may share them with others.